I had an excellent time during the entire expedition. From the moment I met Jiban and our guides at the Yak & Yeti, and our Sherpas later on, I felt we had the best people for this adventure. Obviously, Ben and Lakpa had a thorough understanding and experience working together. They were a very effective and complementary team. Sherpas were amazing– great attitude, smiles, enthusiasm, very hard working yet fun crew, no matter the load or the circumstances. Overall outstanding performance and organization by AAI throughout! See you on Everest in spring. Climbing Cho Oyu is an achievable undertaking for intermediate climbers who wish to attempt an 8,000 m peak. The expedition provides a perfect entrance into the world of high-altitude Himalayan climbing. The sixth highest mountain in the world, Cho Oyu lies in the heart of the Tibetan/Nepalese Himalayas and offers climbers views of Everest, Lhotse, Ama Dablam, and figuratively hundreds of other Himalayan peaks. The Cho Oyu climbing expedition exposes climbers to the ancient culture of Tibet. 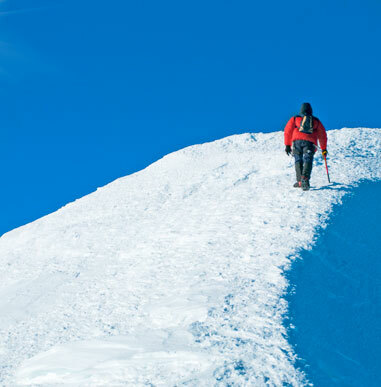 While the challenge of high-altitude climbing cannot be underestimated, the technical nature of the ascent is moderate. Our route is composed of snow slopes with short sections of ice and rock scrambling. We use some fixed ropes for speed and safety. We climb Cho Oyu in classic Himalayan expedition style, employing Sherpa who assist with load carrying and camp preparation. The assistance of expert Sherpa, many of whom have guided with us on Mt. 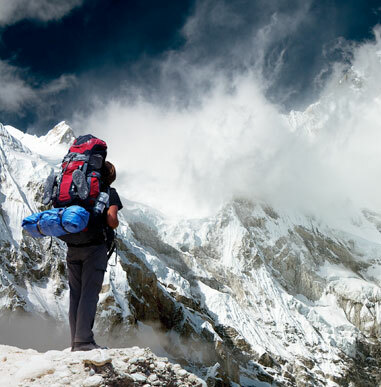 Everest, greatly increases our chances of success. We move up and down the mountain three to four times while establishing camps and acclimating to the extreme altitude. Supplemental oxygen is used for the summit attempt and while sleeping at High Camp. Our itinerary has extra days built in for inclement weather and slow acclimatization. The relatively short time needed to complete the climb adds to the attraction of this tremendous ascent. This is a fully guided ascent, led by Western guides who climb the mountain with you. We are one of the few outfitters offering this type of support (and, as a result, we have a high success rate and an outstanding safety record). It should be noted that most outfitters merely offer a supported trek, where a single guide facilitates the climb but does not act as a guide during the ascent. Our reputation for leading climbs in the Himalayas is superb and includes summits of Everest (271 summits to date) and Cho Oyu (83 summits to date). Some of our past Cho Oyu climbs have had 100% summit success. We encourage you to review our Cybercasts from previous expeditions. Climbers should have successfully completed one of our Basic Mountaineering Courses, such as the 6 Day, 8 Day, 9 Day, 10 Day, 12 Day, 13 Day, or have equivalent skills and experience. Climbers should have completed a number of glaciated climbs, including Denali or the equivalent. Cho Oyu is excellent preparation for a summit attempt on Mt. Everest and is the logical choice for those who wish to embrace and climb an 8,000 meter Himalayan peak. This expedition teaches valuable climbing skills, high-altitude management techniques, and lessons on the use of oxygen systems and staying healthy at extreme altitudes. Climbers who have been successful on Denali or comparable peaks are typically prepared to join a guided ascent on Cho Oyu. Climbers must have solid cramponing skills, be able to rappel with a pack on, and use ascenders on a fixed line. We place a high degree of responsibility on our climbers to prepare for the challenges of the ascent and the safety of their fellow team members. We encourage you to contact us with questions, and please feel free to speak with former expedition members. Once at Base Camp, we will meet our Tibetan yak drivers and their animals. Yaks carry our loads to Advanced Base Camp (18,500 ft.) at the foot of the famous Nangpa-La Pass. We will spend the next three to four days establishing Advanced Base Camp and making short acclimatization forays to the lower reaches of the West Ridge. With the assistance of our Sherpa team, we place Camp I (21,000 ft.) atop the West Ridge. Over the next ten days we will establish Camp II (23,100 ft.) and Camp III (24,500 ft.). We repeatedly move up and down the mountain to enhance strong acclimatization and overall fitness. Once our last camp is set and the team has rested for a few days at Advanced Base Camp, we begin the summit climb. Prior to our summit attempt, team members will spend the night at Camp III sleeping on supplemental oxygen, strengthening and abetting the body’s circulation systems. Our summit attempt begins between midnight and 1:00 a.m. We will climb with supplemental oxygen on summit day. From High Camp, we ascend the West Face through a rock band and up snow slopes of 25 to 40 degrees to reach the West Ridge proper. This gentle ridge leads to the large summit plateau at approximately 26,000 ft. From here we spend the next hour traveling across this plateau to reach the true summit and a spectacular 360-degree view, which includes Everest, Lhotse, Ama Dablam, and an array of Himalayan peaks. To the north lies the Tibetan plateau (the highest in the world) and to the south stand hundreds of Nepalese peaks. After reaching the summit, our team descends to Camp II. It takes approximately five days to clear the mountain and move equipment back to Base Camp. Once we have arrived at Base Camp and said farewell to our Tibetan yak drivers, we begin our return to Kathmandu. The First Ascent was in 1954 by Herbert Tichy, Joseph Joechler, Pasang Dawa Lama (the Austrian expedition). The Nangpa-La Pass is the gap in the Himalayas through which the first traders from Tibet traveled to initiate contact with Nepal. Salt was traded for grain in the Namche Bazaar. This trading continues today and we will likely see yak caravans carrying goods across the glacier for trade in Nepal during this expedition. The Tibetan Plateau, often called the “roof of the world,” dates back 13.5 million years and has reached a maximum average height of 5 kilometers. It is the highest plateau on earth and affects weather patterns around the world. In fact, the monsoons of India and Asia are caused by the plateau. The Tibetan Plateau, which includes the Himalayan mountains, is the result of the collision between the two tectonic plates of India and Asia. The area can be described as a sort of “top-hat” shape, with India and Central Asia as the brim of the hat, and the high ground of the Tibetan Plateau as the flat top of the hat. H. Tichy first scaled Cho-Oyu in 1954. Much of the credit for his success can go to early reconnaissance expeditions, including Eric Shipton’s 1952 journey. Many of the climbers of Shipton’s team became members of Hillary and Norgay’s expedition, which first climbed Mt. Everest. We will follow the Tichy route on this expedition. Climbers should have successfully completed our 6 Day Beginner Mountaineering Course and Denali Climb, or have equivalent skills and experience. Cho Oyu is excellent preparation for a summit attempt of Mt. Everest and is the logical choice for those who wish to embrace and climb an 8,000-meter Himalayan peak. 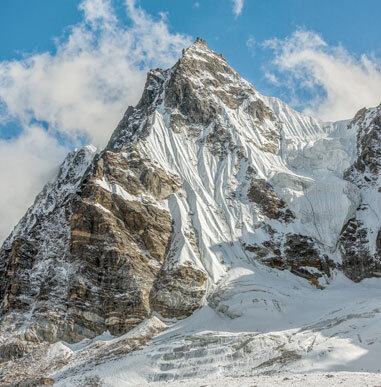 This expedition teaches valuable climbing skills, high-altitude management techniques, and lessons for the use of oxygen systems and staying healthy at extreme altitudes. Climbers who have been successful on Denali or comparable peaks are typically prepared to join a guided ascent on Cho Oyu. Climbers must have solid cramponing skills, be able to rappel with a pack on, and use ascenders on a fixed line. We place a high degree of responsibility on our climbers to prepare for the challenges of the ascent and the safety of their fellow team members. We encourage you to contact us with questions, and please feel free to speak with former expedition members. The best time to climb Cho Oyu is in the Fall, August-October. During the approach to Base Camp we will be lodging in hotels and hostels that are double occupancy. Climbers will share a room (two per room) during this portion of the trip in Tibet. In Base Camp, each climber will have their own tent. Above Base Camp, in Camps I-III, climbers will share tents. Meals in the mountains consist of a diet rich in carbohydrates because our bodies do not process fat and protein efficiently at higher elevations and to compensate for the increase in caloric need that high-altitude climbing involves. We try to make meals varied and as normal as possible. During the approach to Base Camp, we will dine in Tibetan restaurants serving a mix of Chinese/Tibetan/Continental dishes. Meals during the climb are made from food purchased in both Nepal and the US. Typical meals are rice, pasta, or potato dishes, along with vegetable and egg dishes. In Base Camp we will have cooked lunches. Above Base Camp, climbing food mainly consists of dried meals such as pastas or rice. Lunches while climbing will mainly be made up of bars and snacks brought from the US. What is the best air route to my destination, Lhasa Tibet? We operate our climbs via Kathmandu, Nepal. Climbers generally take $200 to $400 to change in Tibet/China for purchases along the approach to Base Camp. An additional $400 to $500 in US dollars is good to have for emergencies, so we suggest approximately $1,000 total in cash but it is likely you will use much less. Changing money at the airport is not recommended. (Credit cards may substitute for some cash.) We will organize this with our guide staff. We accept MasterCard, Visa, American Express, personal checks and Alpine Ascents gift certificates. To reserve a space, the deposit is $2,000.00 and balances are due 120 days prior to departure. Unpaid balances can result in forfeiture of trip.